The English department of the college happens to be the largest department in the Arts faculty of the college with nine full-time sanctioned posts. It has an illustrious history both with regard to faculty and alumni alike – Prof G.P.Pradhan, Dr V.N. Dhavale, Meenakshi Mukherjee, Padmashri Dr Ashok Kelkar, Bhalchandra Nemade, Gauri Deshpande to name a few. English has been taught in the college since its inception in 1885. But it was introduced as a special subject in 1916. It also has the distinction of being the oldest Post-graduate Department of English in Pune University as the Fergusson College PG centre for English was set up in 1969 under the stewardship of Dr V.N. Dhavale, prior to the setting up of the Pune University Department of English in 1972. The department has consistently striven to provide quality teaching to students who are drawn to the college from all over the country. In terms of resources and infra-structure too, the department has a lot of the latest audio-visual equipment at its disposal including a Television set, DVD and LCD projector as also OHP projector with screen. The department has a good collection of high-quality books in the departmental library- some purchased and others donated by alumni as well as other well-wishers. It also has a fair number of quality CDs and DVDs related to literature that enables us to arrange screenings for students from time to time. The college has also recently set up a Language Laboratory facility (under CPE scheme of UGC) to be used by all language departments. The English department has started a short-term course for remedial teaching for students who are weak in English, and plans to use the facility for providing other types of courses over a period of time. The English Literary association (ELA) provides a forum to the students for extra and co-curricular activities such as Poetry readings, dramatics, debates and language-games and quizzes. “Word’sworth”, the Annual fest organized by the department has gone Inter-collegiate during the last two years and able to attract talent from other colleges around the city. Our students too have consistently made their mark during events organized by other institutions- they won the First prize during a Paper-reading completion organized in Nasik two years ago. 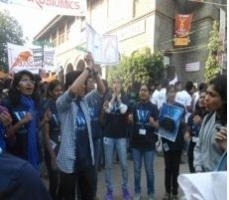 They have performed consistently well at events such as Malhar organized by St Xavier’s College, Mumbai. They have also bagged prizes at the play-reading competition organized by Symbiosis College of Arts and Commerce, Pune- this year, the students of our department won the First Team Prize. Apart from many of our illustrious alumni who have made it big in different fields in India and abroad, the department has in recent times seen many students being picked up as Technical writers and Content Writers even before completing their degrees. Thus, in terms of employability- potential too, our students seem to be faring better. The department is making a pioneering effort at bringing out an e-book in memory of our well-known and highly respected ex-student and faculty member of the department, Prof G.P. Pradhan. This is made possible due to the generous funding from the UGC under its CPE scheme. 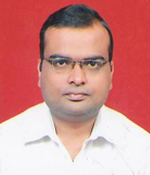 Our faculty member, Dr Arjun Jadhav is a member of the Board of Studies for English at the University of Pune. Apart from this, some of our faculty members are also research guides and a lot of good research is happening under them. Besides, some are actively engaged in research (one faculty member is currently on FIP) and have research publications to their credit. Many are also invited as guest speakers to other institutions as also as Resource persons for seminars, conferences or state and national-level academic courses, such as Refresher courses. All in all, both the staff and the students of the department have been fairly active in the past and hope to lead the department and college to greater heights in future too.